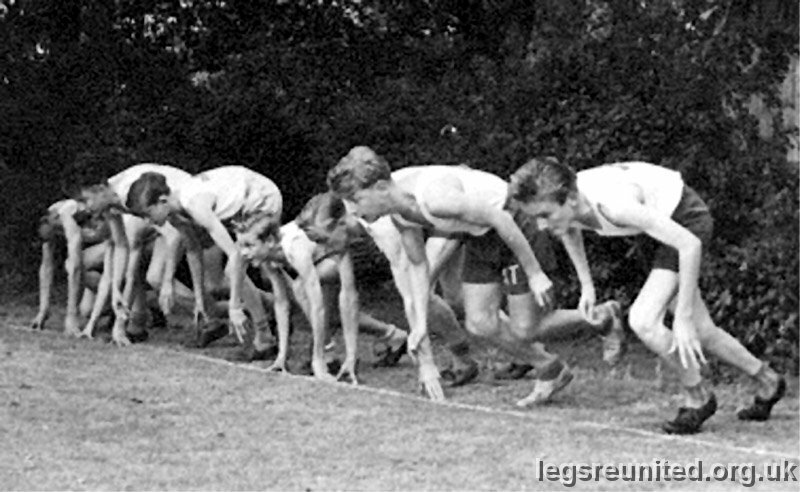 Start of the 220 yards 13 -15 year olds 1957.
dk, Stuart Young, dk, Colin Whitby, Clive Marsden, Roy Townsend and ? Jackson. Photo from Stuart Young and Judith Hough.